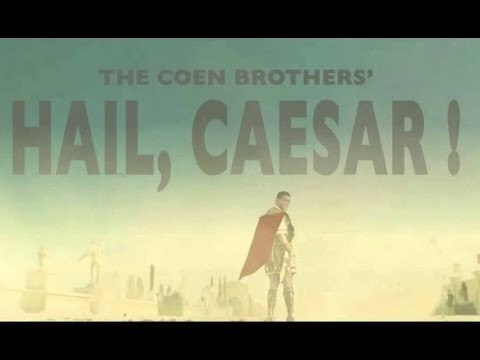 Home > Movies > First Trailer for the Coen Brothers’ New Movie, Hail, Caesar! First Trailer for the Coen Brothers’ New Movie, Hail, Caesar! After months of waiting, the first trailer for Hail, Caesar! from the Coen Brothers has released! The film follows Eddie Mannix (Josh Brolin), a Hollywood “fixer” helping the production of the upcoming film entitled Hail Caesar starring Baird Whitlock (George Clooney). When Whitlock is kidnapped by a group named “The Future,” Mannix is the one in charge of collecting 100,000 dollars and rescuing him. The film is set in the 1950s Hollywood. Josh Brolin as Eddie Mannix, a fixer who keeps actors’ scandals out of the press. Channing Tatum as Burt, an actor and one of Mannix’s clients.